As today is the Great British Fish and Chip Supper, it has got the development team at Quattro Foods in Hampshire thinking about what their favourite thing is about this traditional British meal. Apart from the obvious, we believe fish and chips can’t go without the mouth-watering and comforting tastes of a curry sauce or a meaty gravy drizzled over thick-cut chips—mmm! Since we are sauce manufacturers, our development chefs ensure that these products are created with the best ingredients and can be easily heated up without losing quality, as we understand if you have a chain of restaurants or cafes, you would want to offer a quick and efficient service. We can provide a curry sauces as part of our RTU (ready to use) range, which offers a much longer shelf life or as part of our fresh chilled range, produced as a bespoke recipe to meet your exact requirements. Not only can we help you create a classic chip shop curry sauce, but our development chefs are able to cook a range of delicious flavours of your choosing, such as a mild and creamy Korma, a spicy Balti and a sweet Tikka Masala, as well as flavours from other parts of Asia. If your business is wanting something a little up-market and special on your shelves or in your kitchens, Quattro’s team can create fresh gourmet gravies, which can really add an extra dimension to any dish. Examples of the flavours we can make for wholesalers, food service, restaurant, pub or café chains are: Beef Gravy in Red Wine and Thyme, Chicken Gravy with Wine White & Tarragon, Beef & Red Onion Gravy and Lamb & Mint. All of our gravies and sauces are bespoke and created to meet the customer’s brief. We can help you from the concept to the end product, so if you have an idea in mind that you would like to buy in large volume quantities, we can produce something your customer will be delighted with. Go on – let your customers tuck into our hearty curry sauces and gravies! 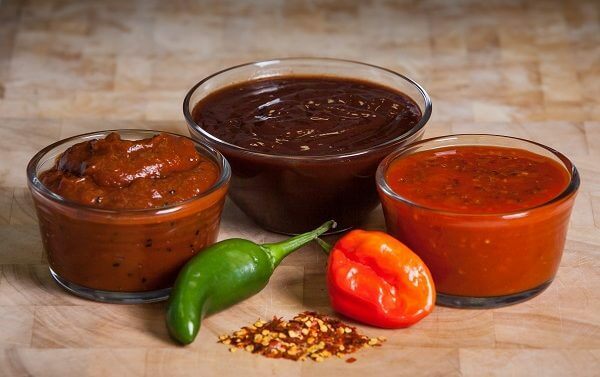 Whether you want something traditional or different, get in touch with a member of the Quattro Foods’ development team in Portsmouth today and our sauce manufacturers can deliver your idea into a high-quality product. For the latest in food manufacturing news and to find out what we are working on, follow us on Twitter!